Product #2901 | SKU AV-HS04M6 | 0.0 (no ratings yet) Thanks for your rating! 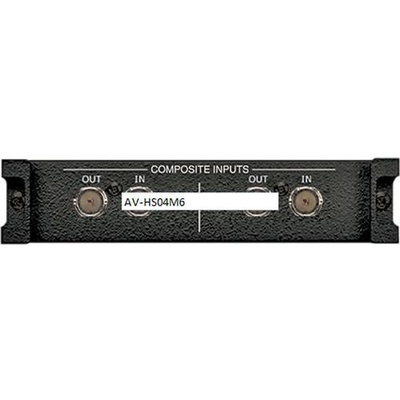 AV-HS04M6 Analogue Composite Input Board for AV-HS400A from Panasonic is an expansion board designed for use with the AV-HS400A Compact Live Multi-Format HD/SD Switcher. The board adds (2) composite video inputs to the switcher. Use this board to expand the functionality of your AV-HS400A Compact Live Multi-Format HD/SD Switcher by adding (2) composite video inputs.